A shoe name like that makes you want to run in it, right? Absolutely! 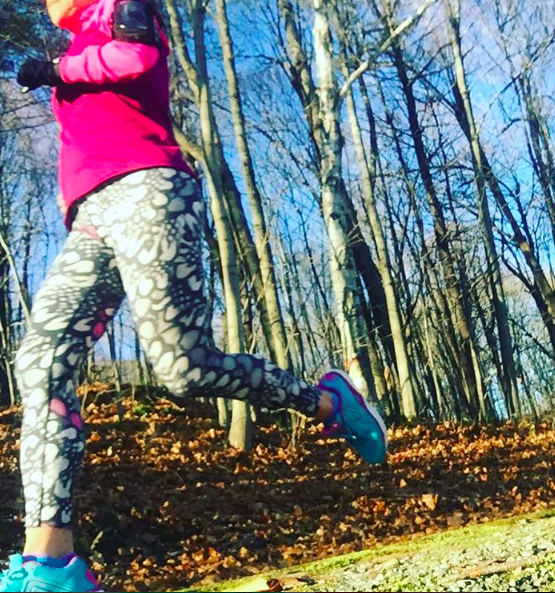 Even if you say you don't want to be a faster runner, deep down inside, you know you do! I've run in Karhu's before. I was impressed before and I continue to be impressed. The Karhu Fast 5 is quite the shoe! They look like a standard shoe. But there is nothing standard about them at all. The Fulcrum Technology is definitely not standard. There are 3 principals around the Fulcrum Technology - Feel, Ride, and Stride. Feel - lowers the foot to ground angle for a smoother, more comfortable landing. The lower dorsiflex position reduced injury risk and eliminates vertical wasted forces. Ride - the Fulcrum Technology reduces overstriding and promotes a more balanced body position with a gentle forward lean. Stride - activates the calf muscle for greater forward propulsion and increased forward momentum. I have found that super flat shoes, meaning no rocker to them at all, just let you sink to the ground with each step. Which is fine, if you like that sort of thing. I prefer a shoe with a little curve to them because of the forward motion propulsion - which helps a bit more with the body positioning of leaning your body a little more forward for a more natural running form. Today's theme song "All Fired Up" ...we live and learn from our mistakes... A powerful song. Plus, this 80s girl freakin loves Pat Benatar! 6 miles @8:25 pace today Rocking my @goretexna gloves and jacket with my @Spandits and @procompression and @karhuofficial and @headsweats #keepittight #seeninspandits and always hydrated by #realhydration @sosrehydrate #headsweatyselfie #ffcheckin #sweatpink #fitfluential #philadelphiamarathon @philly_marathon here I come!!!! I loved the feel of these shoes. When I put on a pair of running shoes and the footbed comes up to meet my arches, I know I have the shoe for me. Karhu does this and makes my arches so happy! I logged over 100 miles in the Karhu Fast 5's during my Philadelphia Marathon training. Normally I won't try anything new at the peak or near the end of training because I don't want to risk any injuries. But with Karhu, I knew it would be the perfect complement to my training. In my opinion, the Fast 5 is a great neutral shoe for any distance - fast or slow. It has full cushioning and the forward propulsion that you crave for each type of running. disclaimer: I was sent a pair of shoes to review from Karhu. I was not required to provide a positive review. As always, all opinions expressed on my blog are 100% my own.